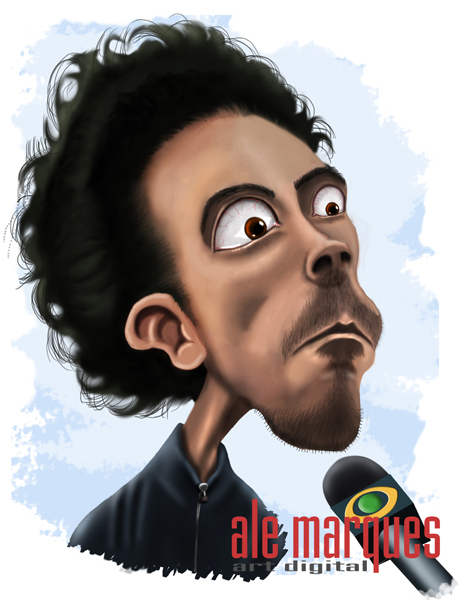 A pedidos, fiz a caricatura do MORRE DIABO. Esse é o louco que matou a mãe. cara, suas caricaturas são muito boas. adorei a do Seu Madruga também, do Coringa, e as outras. olha só eu esta mesmo querendo mais blog's para dar o selo então, vou dividir o selo de pimentinha com você tá bem! passa lá e pode pegar já add seu nome na lista! to te seguindo me segue também! Man, ficou muitooo bom. Cara, né que ele ficou até bonitinho?! vc é um verdadeiro artista!!! of to keep it wise. I can't wait to read much more from you. This is really a wonderful site. penning this website. I am hoping to view the same high-grade blog posts by you later on as well. earstuds, locket, rings, hair, bangle & bracelet accessories. supply korean add-ons, earrings, earstuds, necklace, rings, trinket, hair & bangle accessories. Hello, after reading this remarkable paragraph i am as well delighted to share my experience here with colleagues. the same old rehashed material. Great read! I've bookmarked your site and I'm adding your RSS feeds to my Google account. Actually when someone doesn't know after that its up to other people that they will help, so here it happens. Greetings from Los angeles! I'm bored to death at work so I decided to browse your website on my iphone during lunch break. I enjoy the info you provide here and can't wait to take a look when I get home. I've learn several excellent stuff here. Definitely worth bookmarking for revisiting. I wonder how a lot effort you set to create the sort of magnificent informative web site. information you present. It's nice to come across a blog every once in a while that isn't the same old rehashed information. Great post. I was checking constantly this blog and I'm impressed! Very useful information specifically the last part :) I care for such information much. I was looking for this particular info for a very long time. Thank you and best of luck.